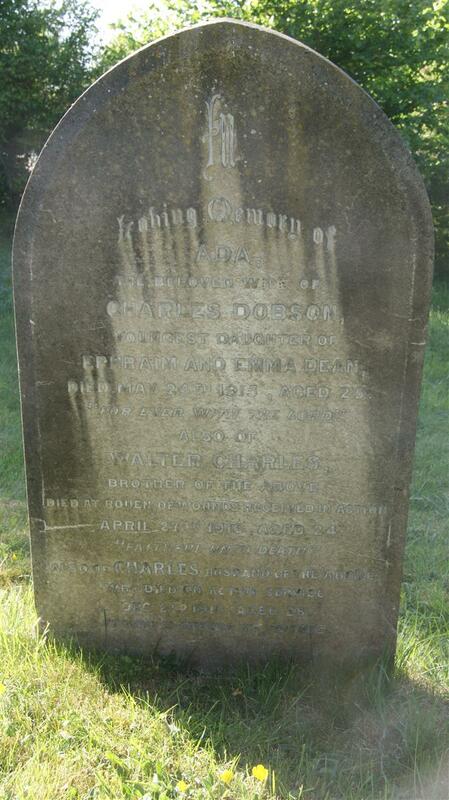 the beloved wife of / Charles Dobson / youngest daughter of / Ephraim and Emma Dean, / died May 24th 1915, aged 25. / "Forever with the Lord." Walter Charles / brother of the above / died at Rouen, of wounds received in action / April 27th 1916. aged 24. / "Faithful unto death." Also of Charles husband of the above / who died on active service / Dec 2nd 1916, aged 28 / "He gave his life for his friends."